Manchester United are set to offer David De Gea a new contract in an attempt to fend off interest from Real Madrid once and for all. The Spanish giants have been in pursuit of the talented shot-stopper ever since the departure of club legend Iker Casillas. De Gea has been their longstanding candidate to replace Keylor Navas, and in long term, the legendary goalkeeper himself. However, Real have failed to strike a deal with the Red Devils for the Spaniard, who have been adamant on keeping him at Old Trafford. Regardless, that hasn’t stopped Zinedine Zidane from chasing the United keeper, and the Frenchman hasn’t seemed to have given up on this mission yet. On the other hand, the Premier League giants have finally come up with a solution to tie their superstar down in Manchester by offering him a new contract. According to the Independent, United plan to present an improved contract in front of De Gea, whose current deal ends in 2019. Jose Mourinho is believed to be confident of persuading the Spanish international to pen his initials on the contract and seal the deal, as the is reportedly happy and enjoying his time under Jose Mourinho. 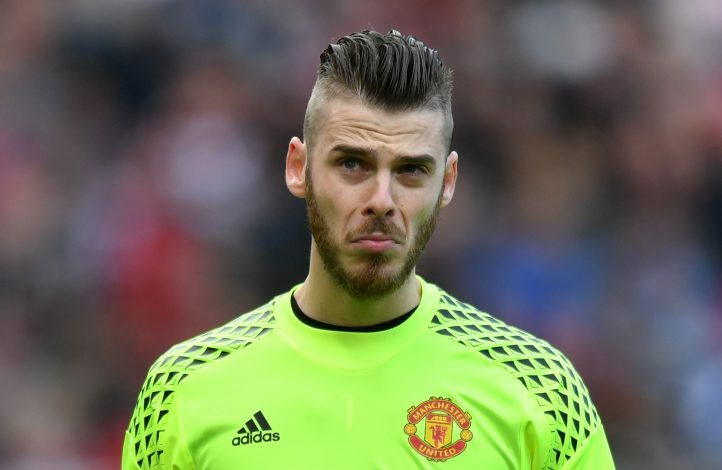 Though the La Liga side was expected to make another attempt at signing De Gea next summer, when there would have been just a year left on his contract, this new De Gea deal, if signed, would make it an impossible task for Los Blancos to complete. The 26-year-old has been hailed as one of the best goalkeepers in the world, and the United boss is keen on keeping his last line of defense.